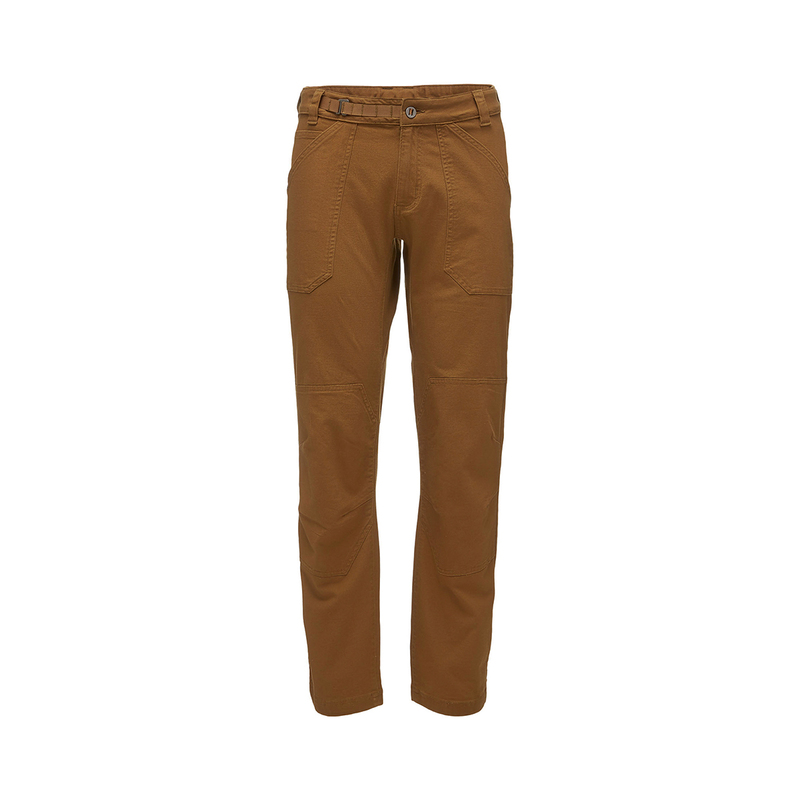 The Black Diamond Dogma Pants are a sturdy yet flexible climbing pant for cold weather climbing and mountaineering. Made of a stretch cotton canvas mixed with spandex, the Black Diamond Dogma Pants add reinforced knees and seat to give you an excellent mix of protection and flexibility where you need it most. Increased durability and resistance where you need it most. Black Diamond have spent years manufacturing climbing and safety hardware with no room for error in manufacture or functionality. They have applied this approach to their clothing range meaning that it has a 100% warranty guarantee. If you’re not totally satisfied with your Black Diamond product they will repair, replace, or refund it no questions asked.